Customize your Sirocco 30 by choosing either the Pedestal or Cast Leg version. 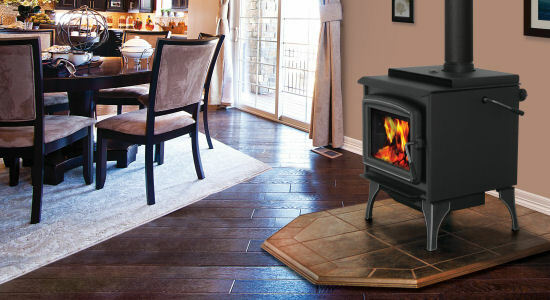 An optional convection deck is available (required when the optional fans are installed) which will increase the stoves performance. You can complete your styling preferences by choosing the available nickel trim accents. As with the Ashford 30 and the Chinook 30, the Sirocco 30 has our cleanest burning firebox at 0.97gms/hour. The 2.75cu.ft. firebox is large and is capable of burning for up to 30 hours on low. Firebox Size 2.75 cu. ft.